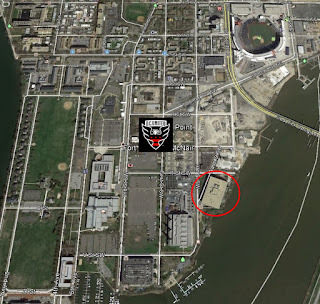 A PUD was filed by Douglas Development for 1900 Half Street, which is currently an office building located along the Anacostia River on Buzzard Point. The building is visible as one crosses the Frederick Douglass Bridge. Douglas proposes to redevelop the nine-story structure into a multifamily building with 462 residential units and 24,032 SF of retail space. The current building is rectangular in shape, but the developer proposes to remove portions of the building to create two large open courtyards on the second floor, resulting in an “E” shaped building facing the river. The building as designed by Antunovich Associates, will be reskinned with a vision glass curtain wall, blue and white colored metal panels, and terracotta rain screens. Entrances to the residential lobby and retail will be along Water Street – one section of retail will be two levels. Ground floor units will have lofts and some second floor units will have private terraces facing the river. A fitness center and other amenity space will also be on the second floor while on the roof, an indoor lounge, rooftop pool deck and infinity pool will be installed, which should have great views of the river, Capitol dome and Washington Monument. Parking will be provided in the existing garage with 324 spaces accessed only from the north (the southern access point and curb cut will be removed). 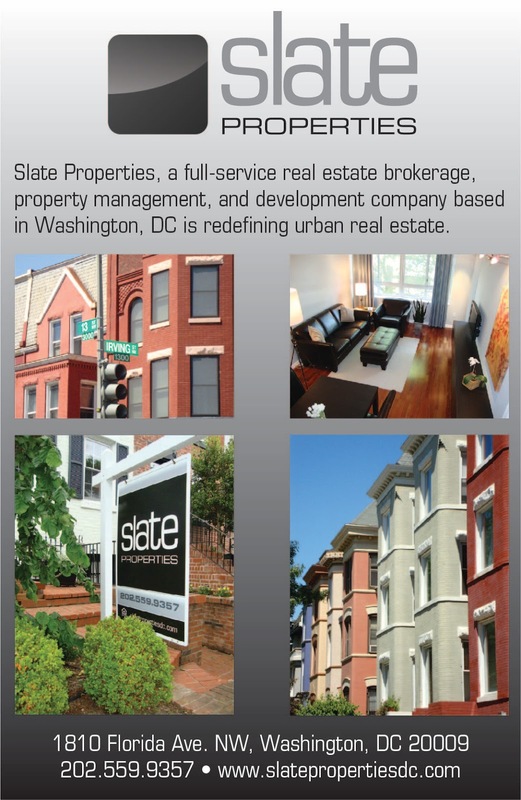 The building currently has 691 parking spaces and the Capitol Gateway Overlay regulations require only 182 spaces. Although the project won’t have a 75-foot minimum setback from the Anacostia bulkhead since the original building was completed prior to 2005, the river side of the building will have a promenade ranging from 14 to 24 feet (the larger promenade on the northern part of the site will be in two sections, divided by a 10-foot bioretention barrier). The project will seek LEED-Gold status. This PUD application was expected since the Office of Planning listed it as one of six major projects planned on Buzzard Point in the Buzzard Point Design Framework Plan document. 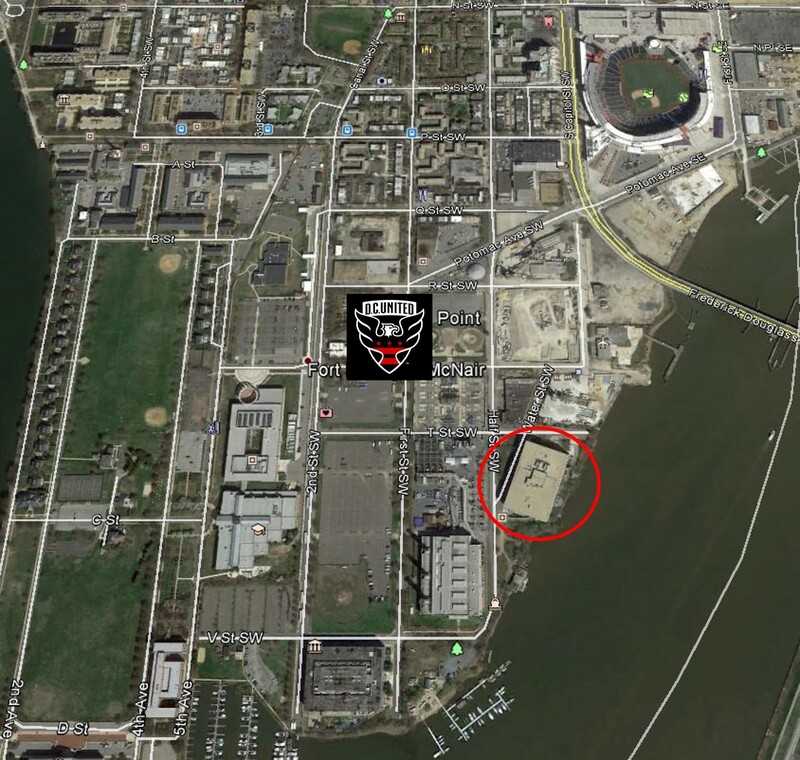 1900 Half Street is less than two blocks from the site of the new DC United soccer stadium and catty-corner from Ziegfeld's/Secrets, which was purchased by MRP Realty and will be redeveloped as a multifamily building. It’s also north of Marina Place where Capital City Real Estate plans to build about 100 condos and near the Transpoint Building, which is under contract to Redbrick. 1900 Half should be before the ANC later this year.